In a casserole, in a melt, in a nicoise salad—canned tuna has long been staple in no-fuss cuisine. It’s easy, affordable protein, after all. But worries about mercury and contamination have turned this onetime lunch favorite into a culinary villain. Industrial pollution is at the heart of the abundance of mercury showing up in the world’s fish supply. It accumulates in streams and oceans, where it turns into neurotoxic methylmercury. When small fish absorb it, and are eaten by larger fish, the levels increase as it works up the food chain. So consumers are in a pickle. Fish and shellfish contain Omega-3 fatty acids and other important nutrients, and can play a key role in a developing child’s heart health and growth. But the methylmercury found in many types of seafood has the potential to hinder a developing child’s motor skills and speech, attention span, and ability to learn. In adults, fertility problems, high blood pressure, and even heart disease can occur with too much exposure. So what’s a tuna-loving person to do? A new company has a revolutionary new solution: A simple, first-of-its-kind test that can quickly and cheaply test mercury levels in fish. In the seaside county of Marin in Northern California, two next-door neighbors were inspired by a passion for ocean conservation to create a very special brand of tuna. Brian Boches and his wife (a coral reef conservationist and famous diver) wanted safe, mercury-free seafood for their one-year-old son, Dylan. So, in 2005, Boches teamed up with his childhood friend, Sean Wittenberg, who had developed a proprietary testing technology that could quickly and cheaply test mercury levels in fish—the first of its kind. Safe Catch is the only brand of tuna deemed safe enough for pregnant women and children by the “Low Mercury” criteria established by Consumer Reports. They test each and every fish, then hand cut it, raw pack it, and cook it in a BPA-free can with no additives—just pure, natural fish oils. Compared to the conventional way of precooking whole fish on racks—which diminishes the nutrients and omega-3s—and then re-hydrating it with pyrophosphates, GMO vegetable broth, soy, and water, Safe Catch is leagues beyond their competition. Their skipjack has a mercury limit 10 times stricter than the FDA’s. Tuna that’s traceable from sea to table, caught by trusted, environmentally conscious sea captains? Now that’s premium stuff. Written by Dana Poblete, and reposted with permission from Thrive Market. 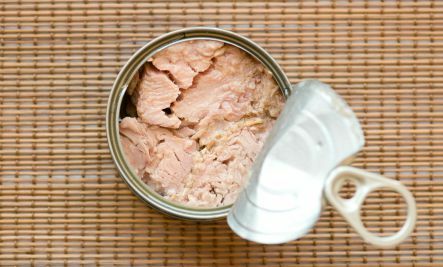 I eat a lot o canned tuna. This article has me worried. Blatant ad notwithstanding, line caught tuna is better than trawled tuna. Thanks.